available for sale on one CD for only $10. This collection includes almost all of Joan's recordings. Joan Crawford. The name alone instantly conjures up the very essence of Hollywood. Her talent, beauty and durability have combined to make her the longest-reigning star in the history of the silver screen. No role was beyond her reach and whether the part called for her to dance with Fred Astaire or lace up a pair of ice-skates, she gave it all. With the single exception of "Torch Song," her singing voice was always her own and can be heard on every additional selection in this album. 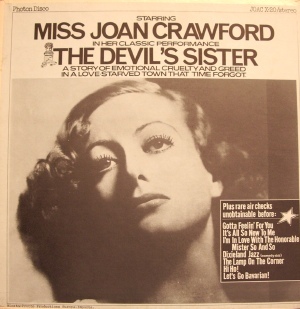 Even in "Torch Song," Miss Crawford's voice can be heard singing along with that of her dubber in what must probably be the most unusual duet in any movie musical! With this album, Curtain Calls proudly offers a complete musical portrait of this great star. We know you'll enjoy it. 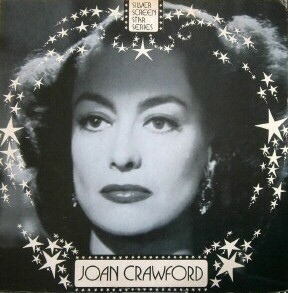 Note: Miss Crawford's only other commercially-issued recording, "I Never Knew Heaven Could Speak," can be heard on the RCA album "Hooray For Hollywood," LPV 579. 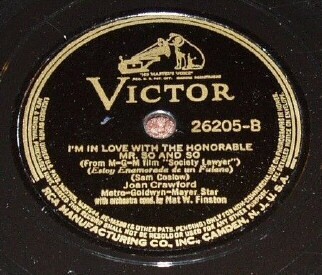 Another 1939 recording, "Tears From My Inkwell," lies somewhere in the RCA vaults. 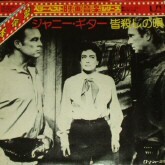 Side 1 is a recording of Joan's 1961 TV appearance on Zane Grey Theater's "One Must Die" (CBS). Side 2 is a collection of recordings of Joan songs dating back to 1929. 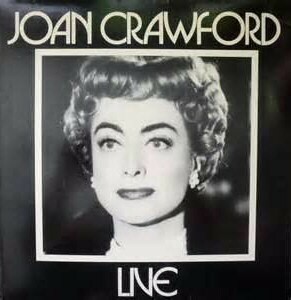 A recording of Joan's live appearance at Town Hall on Sunday, April 8, 1973. Part of the John Springer Series, hosted by Springer. To read a transcript of the interview, click here. Sunday night, April 8, 1973, at Town Hall, New York. Who could know then that it would be the last official public appearance of Joan Crawford? It was one of the nights in the Legendary Ladies series where Greats of the Film World were paid tribute by a showing of most memorable scenes from their finest pictures. And then the Lady herself was there -- the Goddess in the flesh -- greeted by standing, screaming, bravoing ovations. Bette Davis was first, then Myrna Loy and Sylvia Sidney. 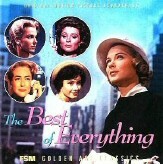 Later would come Rosalind Russell, Lana Turner and others. But this night was Joan Crawford's -- one never to be forgotten by the lucky few who were able to share it. It was a night filled with memories as Flaemmchen and Mildred Pierce, Crystal and all the others in the Crawford gallery had their moment on screen. And then it was Joan herself -- lively and funny, candid and human, talking about herself in a way she had never done before. That night was recorded -- and that's what this album is. It's Joan Crawford the way we all want to remember her. Original Price: Unknown, but Sides C and D, the actual interview portion, have been seen on CD on eBay lately for around $10 from Deja Vu Records, including a bonus mix by Sando called "Learn to Feel," which consists of lines from the interview over the backbeat. Reading of the Charles Tazewell story by Joan. Music conducted by Andre Previn. 45 RPM. Soundtrack for movie of same name. Music composed and conducted by Alfred Newman (nominated for an Oscar for the title song along with lyricist Sammy Cahn). 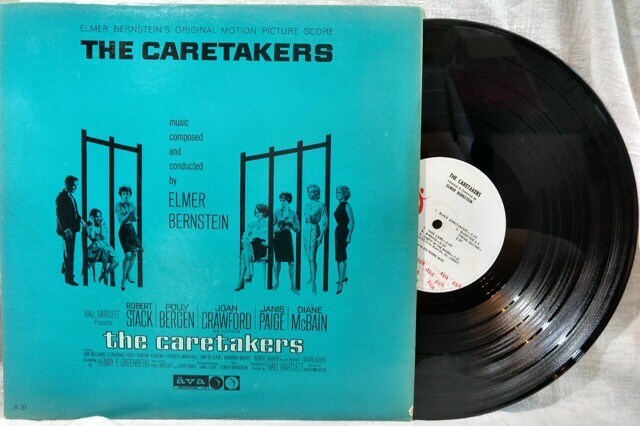 Orchestrations by Earle Hagen and Herbert Spencer. Click here to see back of album with credits and description of film/album. 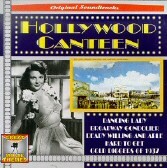 Description: Of the 20 songs, the first 13 listed below are from Joan's 1944 film Hollywood Canteen. The other 7 are from various other musicals, including 2 from Joan's '33 film Dancing Lady: "My Dancing Lady" and "Rhythm of the Day." Canteen's music was nominated for 3 Oscars: Best Music/Original Song for "Sweet Dreams, Sweetheart"; Best Music/Scoring: Ray Heindorf; Best Sound/Recording: Nathan Levinson. See the amazon.com page for ordering info. 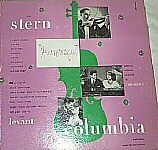 LP Description: Isaac Stern on violin, from the 1946 movie. 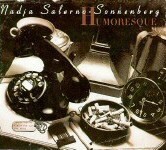 CD Description: Violinist Nadja Salerno-Sonnenberg interprets music from the film and other related songs, accompanied by the London Symphony Orchestra. Her liner notes explain her initial fascination with the film. CD Universe (includes links to hear tracks, and ordering info). 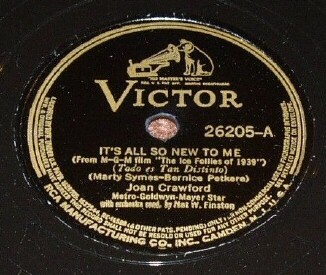 Original motion picture soundtrack by Victor Young, with lyrics by Peggy Lee on songs 2 and 19. 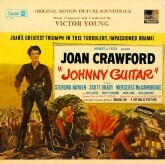 (1) Main Title; (2) Johnny Guitar; (3 - 18) Orchestral Suite; (19) Johnny Guitar/Ending. Spanish-issue EP, containing one selection from the film by composer Victor Young. The music is performed by Frank Pourcel and his orchestra, and there are three additional selections not from the film. 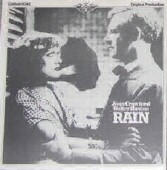 LP containing the entire Rain film (dialogue, music, etc. ), featuring the songs "Rain Theme," "St. Louis Blues," "The Ship Sail In...Sail Out," and "Wabash Blues." 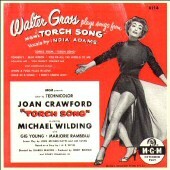 Description: Songs from "Torch Song" conducted by Walter Gross, with vocals by India Adams. Additional tracks: When a Fool Falls in Love, Once In a While, I Don't Know Why. 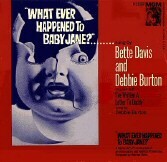 Description: Side 1: "What Ever Happened to Baby Jane?" sung by Bette Davis and Debbie Burton. Side 2: "I've Written a Letter to Daddy" sung by Debbie Burton. Cocktail Hour: The Vamps (2000, Columbia River) Joan song: "How Long Will It Last?" Hollywood: The Collectables [sic] (1989, Deja Vu) CD. 25 tracks from various Hollywood stars. Joan sings "I Never Knew Heaven Could Speak." 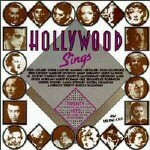 Hollywood Sings: Stars of the Silver Screen (1982, 1989: ASV/Living Era) The 1982 CD has Joan's "How Long Will It Last?" Hooray for Hollywood (1970). RCA: LPV 579. Features "I Never Knew Heaven Could Speak." The Radio Years: Early Film Recordings from Hollywood 1928 - 1936 (1996, Enterprise) Joan song: "Chant of the Jungle." 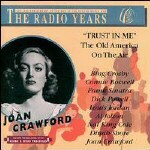 The Radio Years: "Trust In Me": The Old America on the Air (1997, Enterprise) Joan songs: "I'm in Love with the Honorable Mr. So-and-So" and "It's All So New to Me." To order the below, or if you have any questions, contact Shane. here as a service to Joan-fans, but I'm not at all involved in their production. 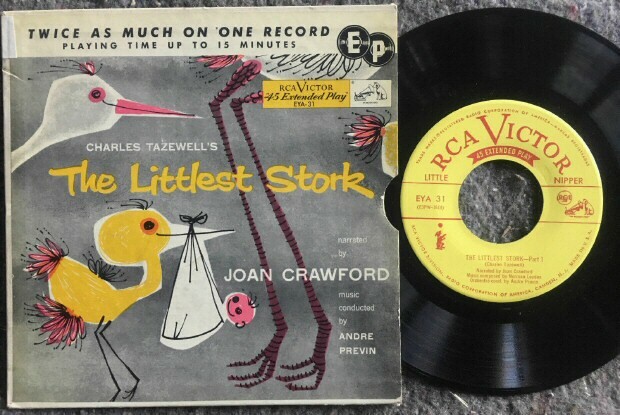 Also available for $10 from the same seller: Joan Crawford at Town Hall.